COVFEFE vs Amazon Part 2 - COVFEFE: Making Coffee Great! Amazon is a big fat mess, sad! Tech Giants are gearing up for the 2020 Presidential Election. Without a doubt. Ever since 2016, there has been massive policy changes, moderation, and crackdown against non-leftists. There is one common tactic that has been deployed, "hate speech." Nobody knows what that even means - which is why it's Big Tech's favorite tool. Censoring, banning, and deplatforming non-leftists over "hate speech" is on the rise and accelerating. Amazon although different from the social media giants - it is still influenced by the same corporate culture. We had mentioned in the previous article that there are two subsets of the way Amazon enforces it's "policies." The seclusive moderation teams (who cannot be reached) and the seller support teams. The frustrating thing is that almost all of the seller support teams who have little to no autonomy are essentially the faces of the moderation team. Everything moves slowly especially when the moderation teams are "reviewing" the case and relay their findings to the seller supports who are non-native English speakers and on the other side of the planet. After weeks of no action or helpful communications, we were told that having the phrase "Make America Great Again" cannot be on a listing that is being advertised. Why? MAGA is considered by Amazon as "hateful inciting text." Leading up to 2020 it's "ALL HANDS ON DECK" for Big Tech! Amazon also stated that it is a violation of their advertising policies to advertise products that are "political." Which like all of the left's rules it means, "things we disagree with." So what are we left to do? We do our own searching on Amazon to see if we can find products that are explicitly left-wing and/or advocate violence. The results are revelatory. "The Communist Manifesto" which is a book that inspired hundreds of millions of murdered is ALLOWED to advertise on Amazon. It also has 1,637 reviews so it's not like this product is a new addition to Amazon and somehow skating under the nose of Amazon undetected. Ok, so the whole thing about "hateful inciting text" is only applied to things you don't like. What about the policy forbidding political content? Nope! Breadline Bernie gets to have his book take advantage of Amazon PPC advertising. His title, description, and other info explicitly state descriptive policies he pushes for. Our product/listing did no such thing, especially on the scale Breadline Bernie does. So which way is it Amazon? If Amazon were to be objective about their policy decisions then fine, that's at least honest. However, when it's subjective, fluid and only goes in one direction it leads to a lot of frustration. We understand the game now. Big Tech is gearing up for 2020 Presidential Election and nobody is safe. We would like to say that this was the end of the games with Amazon, but it's not. More to follow! 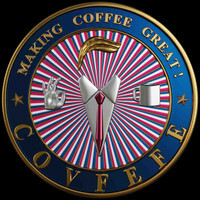 In the meantime have you tried our Coffee By Deplorabels For Deplorables, yet? Be a very stable genius and give it a try here!